It’s our great pleasure to invite you to our Medal Ball. 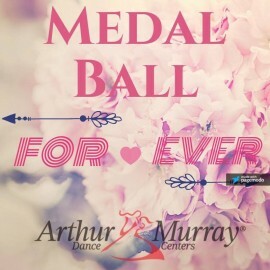 The Medal Ball is a graduation ceremony to award students who have passed their exams and achieved the next level of skill and technique in American style dance with their certificates of merit. This will be followed by a celebration with students’ Honor Dance and performances by AM teachers. This is not to be missed! It will be held on Saturday, May 19, 2018 at 4:00 pm.